Pope Francis has made an urgent plea for an end to the conflicts in the Middle East, in Iraq and in Ukraine noting especially the horrors the conflicts inflict on children. The papal plea was followed by U.S. President, Barack Obama, emphasizing to Israeli Prime Minister Benjamin Netanyahu the need for an immediate, unconditional ceasefire. The United Nations Security Council met early Monday in New York and called for "an immediate and unconditional humanitarian cease-fire in Gaza." Speaking after his regular address to thousands of people gathered in St. Peter's Square on Sunday, Francis spoke of the victims of war, in particular the children who die or are injured and orphaned by bloody conflict. The Pope said, "Brothers and sisters, never war, never war! I am thinking above all of children, who are deprived of the hope of a worthwhile life, of a future. "I think especially of the children whose hopes for a dignified future are taken from them, dead children, injured and mutilated children, orphans and children who have bits of weapons as toys, children who don't know how to smile. "Please stop. I ask you with all my heart," Francis pleaded. The pontiff said his thoughts were with those engaged in international conflicts as he looks towards the 100th year since the outbreak of the First World War in which million died all over the planet. It was an emotional appeal when he cited Israel and Gaza, along with the violent conflicts in Iraq and Ukraine. 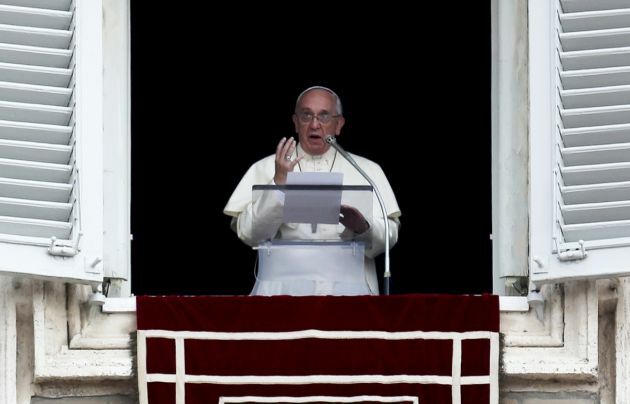 The Pope's voice appeared to crack with emotion as he interrupted his usual scripted speech, the Belfast Telegraph reported. The Gaza death toll has exceeded 1,000 in the Palestinian territory, most of them civilians, while 43 soldiers, two Israeli citizens and a Thai worker have died on the Israeli side. This fighting has forced 173,000 Palestinians – almost 10 per cent of the Gaza population - to flee their homes and seek shelter in United Nations properties. Israel said it started the latest incursion into Gaza because Hamas has been firing rockets at its towns for months and will not let up until this stops. Israel has been accused of using disproportionate force in its response by many nations and international orgaizations. Israel wants to destroy Hamas military tunnels and rocket launching sites in Gaza. Hamas wants international guarantees that the border blockade of Gaza will be ended before it agrees to a cease fire.